Backcountry Skier Skis Steep Mountain Terrain. 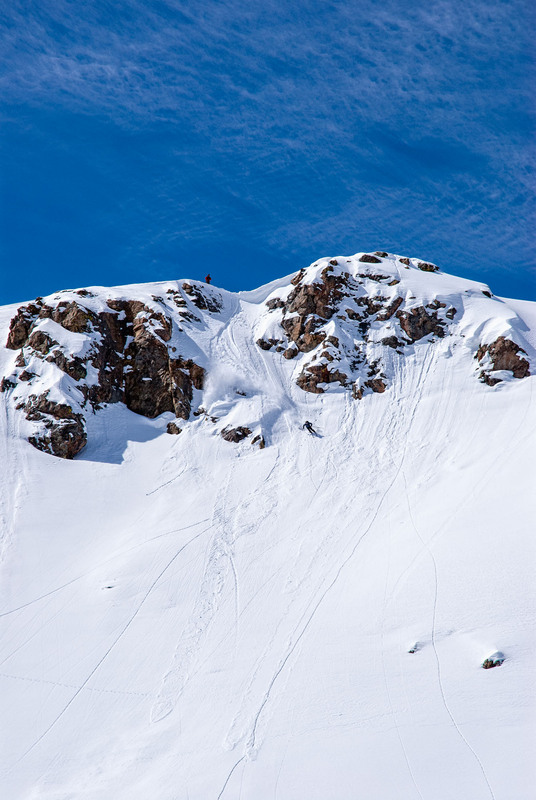 Skier making turns on steep slope in the rugged mountains of Colorado USA. Converted from 14-bit Raw file. sRGB color space.